Is it a desperate fool’s quest? Or has Zeivite truly come up with a plan to defeat Magnar and the ‘dead mage’ with his limitless magic? If you want your fantasy action-packed, laced with mystery and running at a pace that refuses to let you put it down – The General’s Legacy delivers. 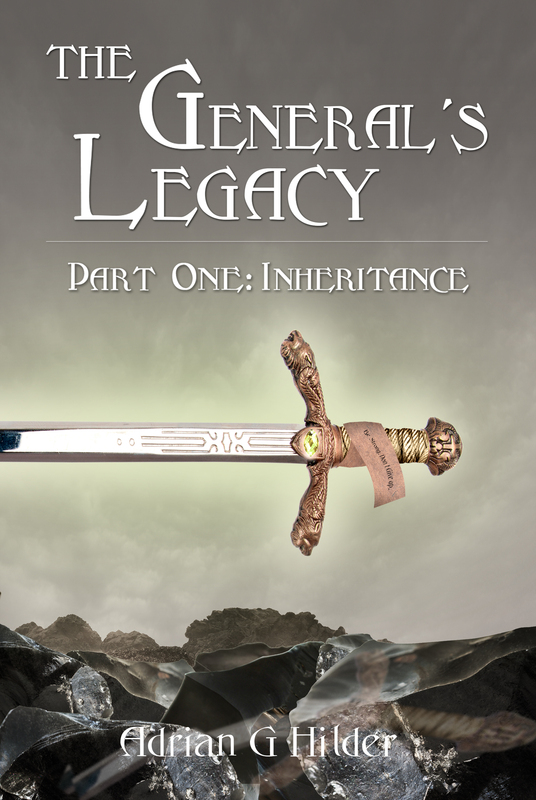 I hope you’ve enjoyed the adventure with Prince Cory so far in part one of The General’s Legacy – Inheritance. When I launched Inheritance on November 30, 2016 I had no readers’ group and no sales outside friends, family and some Goodreads friends. Inheritance was all but invisible to the world and it took two months to get two reviews. This time four out of the five reviews above appeared within 10 hours of release – my sincere thanks to the Special Operators review team. Hopefully, a few more reviews will appear soon. Even if you are reading something else right now, buying Whiteland King today will help to kick this book up the charts and it will be on hand to start reading straight away when you are ready. Will I get rich? No chance! Earning enough in royalties to cover the monthly ongoing expenses would be a good first goal. I hope you love the conclusion of this story. I think you will and I know it has had some readers on the edge of their seats. Available on most eBook stores worldwide. Buy buttons take you to your choice of store in one more click. Prices correct at the time of sending. An epic fantasy fiction story with high octane magic, horror and romance. Also available on Kobo, Nook, iBooks, Inktera, Scribd, Tolino and 24symbols. Release date: November 30th, 2016 – available for pre-order now. A king obsessed with conquest, armies, magic, and monsters powered by the souls of the dead – the legendary General of Valendo defended his kingdom from them all and taught his grandson, Prince Cory, everything he could. But the worst is yet to come. The concluding part of The General’s Legacy will be published February 28th, 2017. Super quick blog post this morning – Part Two: Whiteland King now has the cover designed. Is a fantasy novel truly complete without a map? The General’s Legacy story opens with the prolog where the old general is lying on a rock ledge above Beldon Valley just north of Dendra Castle that you can see in the center of this map. I have ambitions to produce a colour version for this website that covers a larger area of the world than this map. It has been cropped from the original drawing so that it is the right size for a Kindle / Kobo / Nook / Tablet screen with text labels still readable. When the years of writing and editing are finally done, there is one thing more needed for a book to finally feel real. Answer the question – what does it look like? A book cover design is the answer and here is what my designer came up with. Click on the image and a large version will open up and you will be able to read the message written on the note wrapped around the sword’s grip (you might need to zoom in a bit). It’s a message from the old general to his grandson, Prince Cory.